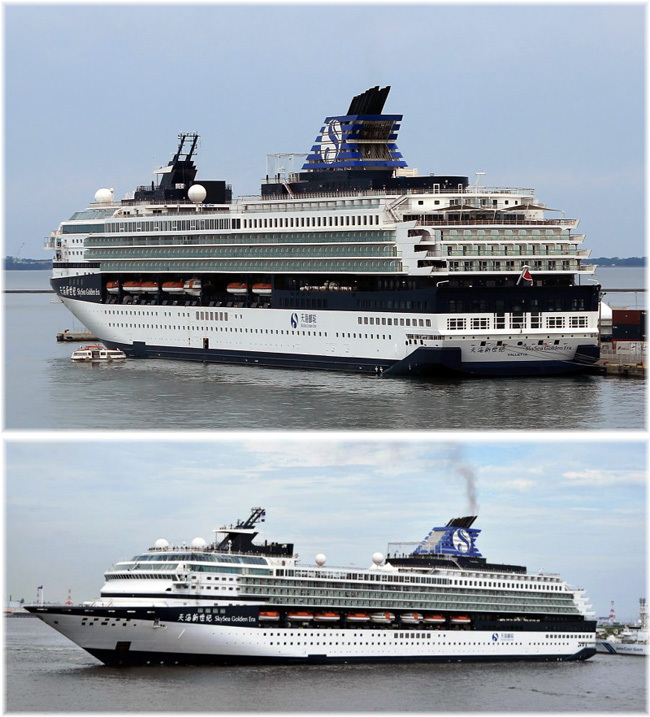 As the first of two sister ships delivers this week to TUI UK’s Marella Cruises, we have a look at the original Celebrity Cruises trio of Century, Galaxy and Mercury. Elsewhere, the Norwegian Bliss has today set a record for largest cruise ship to transit the Panama Canal. 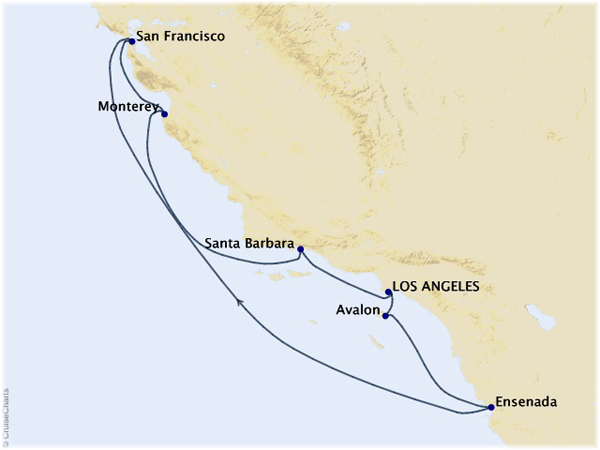 And Oceania’s Sirena offers an interesting Calfornia itinerary for December 2019. The 1,924-berth Marella Explorer, formerly TUI Cruises’ Mein Schiff 1 and before that Celebrity’s Galaxy, has just completed a major refit in Cadiz, departing yesterday for her new summer base of Palma. 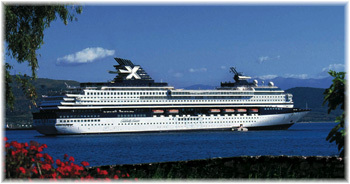 The Explorer departs on her first revenue voyage on May 19. The Explorer is the biggest ship yet in the Marella fleet, with 962 cabins, nearly 40% with private balconies. Two of her new features will be Indigo, the ship’s new bar, club and casino, and the first Champneys Spa at sea. The four-week dry dock involved a workforce of around 1,600 providing more than 200,000 hours labour. They laid 17.5 square miles of carpet, more than 37 miles of data cabling and installed 650 Wi-Fi access points. Ten tonnes of Marella-branded items, including uniforms and 1,000 show team costumes were also delivered. Although based in Palma by summer, the Marella Explorer will move to Barbados in the winter time in order to offer cruises among the southern Caribbean islands. Her near sister ship, the 1,814-berth Marella Explorer 2, which will join the fleet in May 2019, will be reserved for adults only. 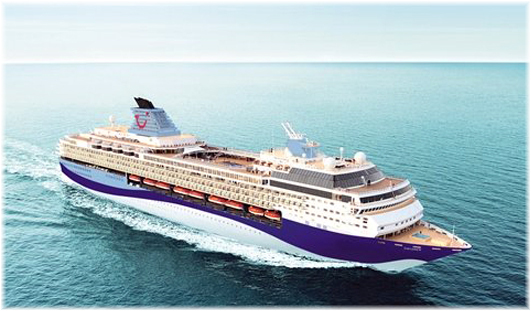 And like Marella Explorer, she will feature a Champneys Spa at sea. Marella Explorer 2 will enter the fleet as a result of the closing down the SkySea Cruises China joint venture between Royal Caribbean Cruises and Chinese travel firm Ctrip. From May 2019, the Marella Explorer 2 will sail from her new summer base of Naples, offering cruises to Venice, Rome, Dubrovnik, Split and Piraeus on four new itineraries. 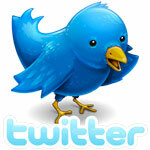 She is presently trading in the Far East as SkySea Golden Era. Marella Explorer 2 began life as the Century, the first of a trio that included the Galaxy and Mercury. Mercury is now trading as Mein Schiff 2 and conceivably could make it into the Marella fleet at some time in the future when one of the cruise line’s chartered ships goes back to her owners. As the first of the trio, the Century was completed to a length overall of 807 feet, while sister ships Galaxy and Mercury were stretched almost 60 feet to 866 feet. Marella Cruises, until recently Thomson Cruises, will also become a solely all-inclusive product during 2019. 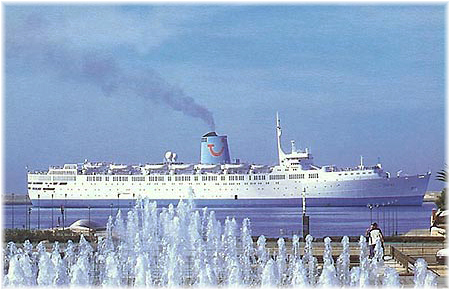 The first all-inclusive trials were conducted twenty years ago on Thomson’s 972-berth cruise ship The Topaz, between 1997 and 2003. Now, all Marella ships will become all-inclusive, which will make them dofferent from the usual “nickel and diming” cruise ships always shilling for more revenue. Cruise Critic has reported that Norwegian Bliss today became the largest cruise ship ever to transit the Panama Canal — carrying more than 4,000 passengers, measuring 168,028 gross tons and comprising 20 decks. The latest Norwegian Cruise Line ship which left Germany’s Meyer Weft in March and is in the middle of a series of inaugural voyages that have included stops in New York and Miami. After Panama, the ship will call at Los Angeles and Seattle, where she will be christened on May 30. She will then begin her summer season in Alaska. The expanded Panama Canal has introduced two new sets of locks, and widened and deepened existing channels and locks, allowing for larger ships. Other mega cruise ships that have been able to offer Panama Canal transits include the Caribbean Princess, Carnival Freedom, Carnival Splendor and Disney Wonder. 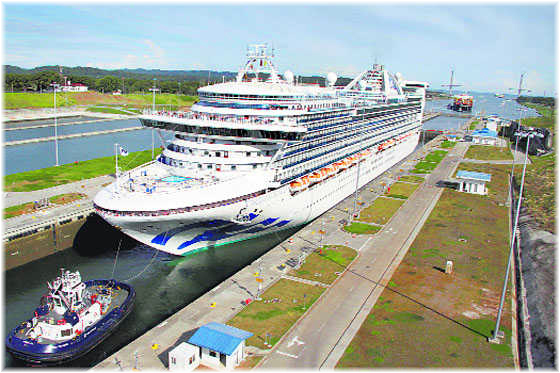 The Panama Canal’s 2017-2018 cruising season ends on May 24. A handful of cruise lines including Norwegian, Holland America Line, Princess Cruises and Royal Caribbean will continue offering full or opartial transits for the rest of the season. Norwegian Bliss will offer 7-night Alaska cruises from Seattle, starting on June 2. She will then offer a short season of Mexican Riviera cruises from Los Angeles before positioning to Miami, from where she will operate Eastern Caribbean itineraries during the fall/winter season. In 2019, after a second summer season to Alaska, the Bliss will return to New York to offer 7-night cruises to the Bahamas and Caribbean. Oceania Cruises has come up with a marvellous coastal itinerary for December 2019, which will be of interest to those wanting to see the California coast. Taking in the four cities of Los Angeles, San Francisco, Monterey and Santa Barbara plus the offshore island of Catalina. It also makes a call at Ensenada, Mexico, the usual destination for 3- and 4-day cruises sailing from California, which like Victoria BS, legalises the cruise for a foreign-flag ship by including a foreign port of call. Promotional fares for this 7-night cruise begin at £1,709 per person in an inside cabin, $1,889 pp in an outside, £2,449 pp in a veranda and £3,039 pp in a suite.